On Saturday, January 19th, over 50 people, including parents, alumni/ae, and guests gathered on campus for the alumni/ae hockey event. 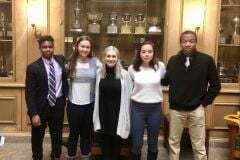 Despite the snowy forecast, alumni/ae returned to the Pioneer Valley to reconnect, reminisce about the glory days, and cheer on the Big Green to victory! 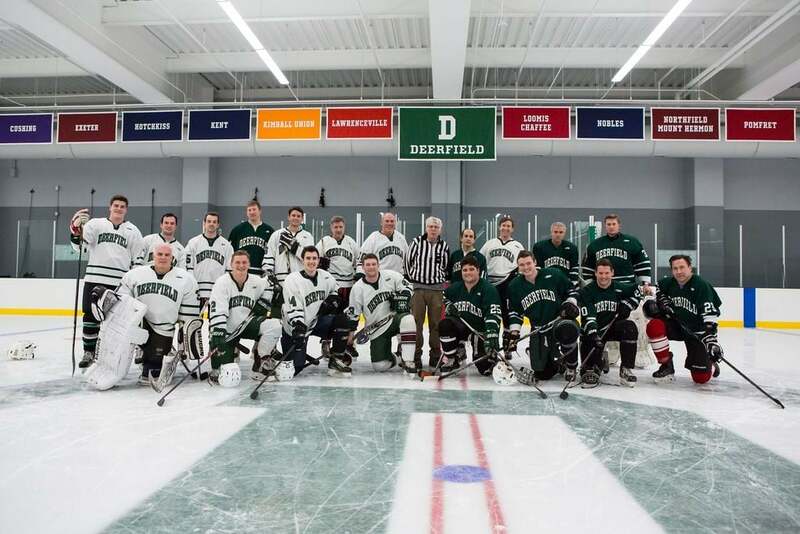 After a morning skate on the Class of 1993 Rink and brunch at the Dining Hall, alumni/ae filled the stands in the new rink to take in some Deerfield hockey action. First up, on the heels of a Friday night OT victory over Pomfret, the boys varsity hockey team hosted Choate in a matinee game. It was Choate who got on the board first to take the early lead, 0-1. 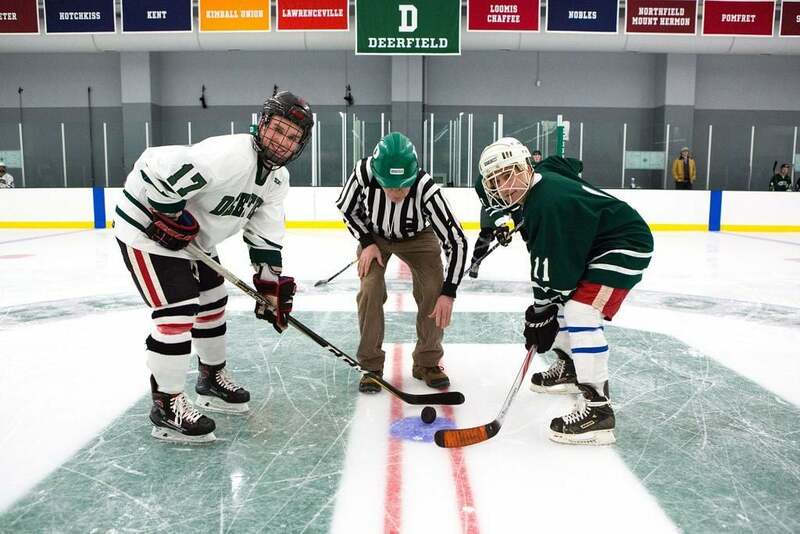 The Big Green rallied when Noah de la Durantaye ’19 netted the equalizer in the opening five minutes of the third period, assists to Pierce Patterson ’21 and Alton Machen ‘20. Despite peppering the Choate goalie for the remainder of the game, the Big Green were unable to find the go-ahead goal in OT. Then, the girls varsity hockey team took to the ice for their second game in as many days as they hosted Taft in the first meeting between the two teams this season. The Big Green jumped ahead to an early two-goal lead in the first period and never looked back. The Big Green netted another two goals for the 4-0 victory. 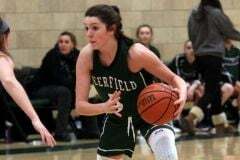 Goals were scored by Ellia Chiang ’21, Mary Edmonds ’19, Christina Halloran ’20, and Haley Sundstrom ’21. After cheering on the Big Green, the alumni/ae were primed and inspired for their upcoming game. A ceremonial puck drop kicked off the anticipated 2019 alumni/ae hockey game. 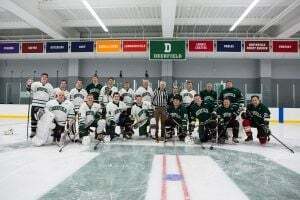 Norm Therien had the honor of dropping the puck as alumni/ae d0nned the green and white and made their debut in the new Class of 1993 Rink. Many thanks to the alumni/ae, parents and guests who joined us for a special day on campus!